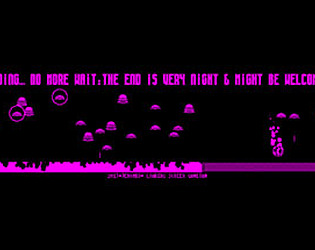 Haha, I love how the game over is essentially the game corrupting itself. Brilliant effect! Great idea and awesome aesthetic! Winning and losing is pretty random but there was something kind of addicting about it. Cool idea, I loved how the loading bar was part of the game.